Well-established manufacturer of touring caravans, but newcomers to the motor caravan scene, Bailey of Bristol has scooped the top award in The Caravan Club Motor Caravan Design and Drive Competition 2012 at its first attempt with the Bailey Approach SE 745. Competition testing took place at Newark Showground at the beginning of May. A panel of four driving judges and six design judges evaluated fifty vehicles across six different classes for excellence in design, construction and handling characteristics, including reversing and manoeuvring. The judges praised the Approach SE 745 for its combination of solid build quality, featuring Bailey’s innovative Alu-Tech bodyshell construction, and outstanding value for money. Bailey also took first and second place in the category for Coachbuilts up to £45,000 with the Approach SE 625 finishing runner up to the SE 745. 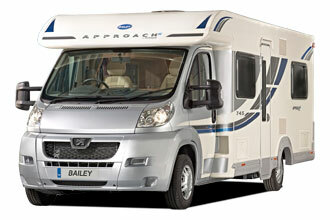 Based on Peugeot’s Euro 5 Boxer cab the new Bailey Approach SE range is designed to be driven with all models featuring a 2.2 Hdi 130 bhp engine complete with a 6-speed manual gearbox, an AL-KO AMC chassis and the Alu-Tech bodyshell as standard specification. 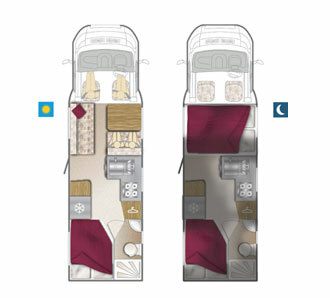 This combines with beautifully-styled British interiors, which provide comfort and practicality in equal measure, and a level of specification not normally found on vehicles in this price bracket to make the new Approach SE the complete motorhome range. “Our congratulations go to all the winners in this Competition and especially to Bailey for its Approach SE 745” he added. Bailey would also like to thank The Caravan Club for running this annual competition, particularly in light of the amount of organisation required, and is very grateful for any recognition received for its motorhome and caravan ranges.